I have had the pleasure of participating on several cruises with Leon and Regina Laska. The first trip, over the North Sea some years ago, I did as a shake-out trip for myself after a year with very little sailing. 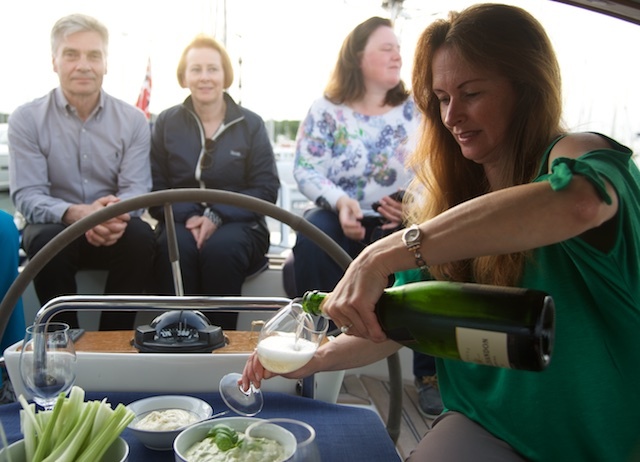 That time, I became instantly impressed by a seriously kitted out and maintained yacht. It was comfortable, safe and a real performer at sea. But most importantly, Leon the captain is very capable in creating a team out of complete strangers, as well as finding and developing each individual’s strengths as sailors. Those are leadership skills indeed, and made the week very rewarding. 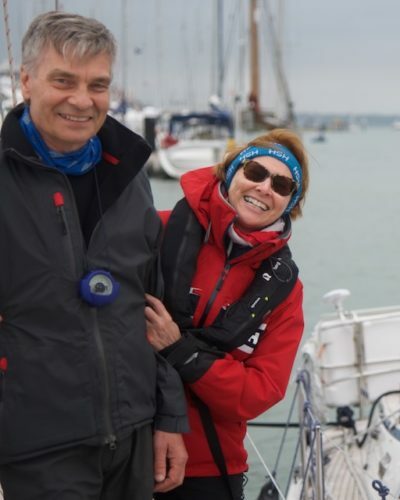 My wife Inger-Johanne supported me as crew during my Yachtmaster Prep Course. 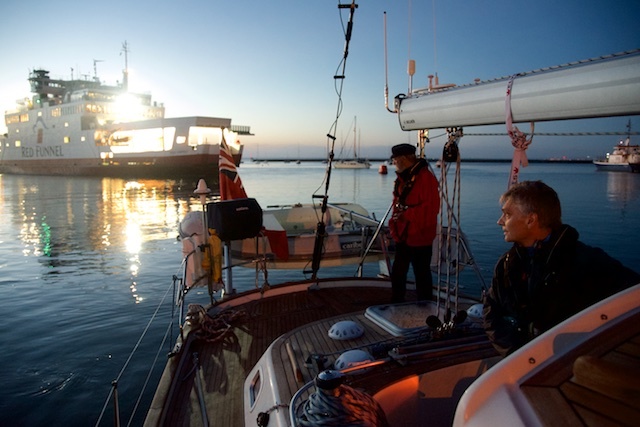 Those capabilities came to my attention again this year when I participated on the Yachtmaster Offshore prep-course. We had some time-constraints, and would be doing the practical test in the end. 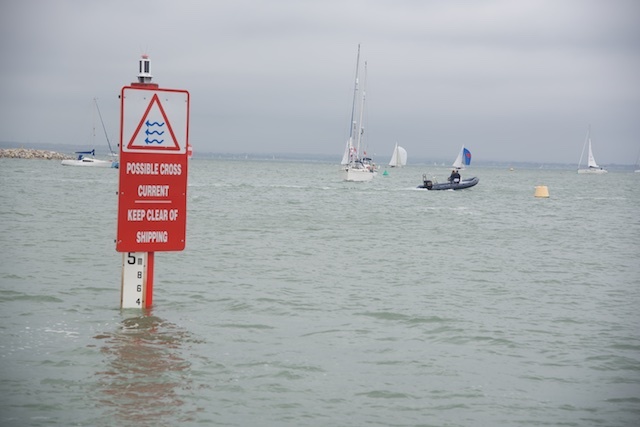 Tidal gauge in Cowes. Good chance to check one’s calculations! 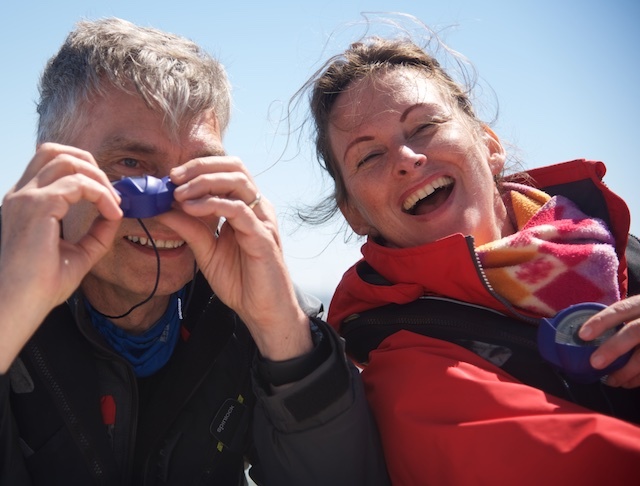 Having fun with my fellow Yachtmaster applicant while taking bearings during the prep course. What are we seeing? And where? And why? 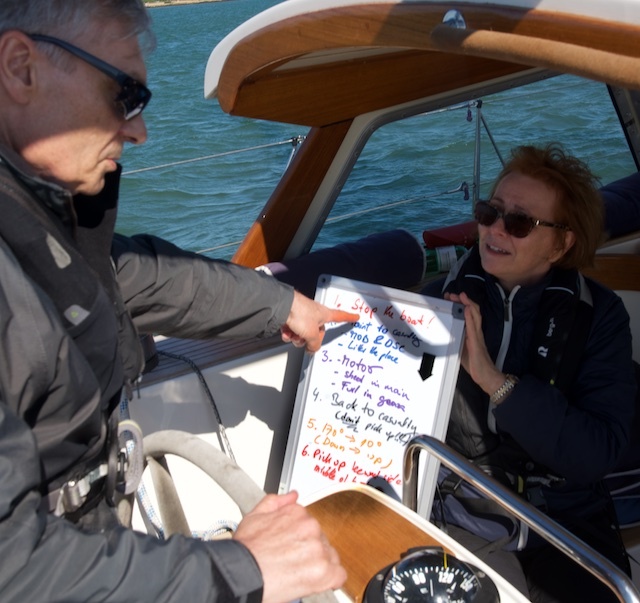 My wife Inger-Johanne helping me to remember all the steps during the man-overboard drill exercise. 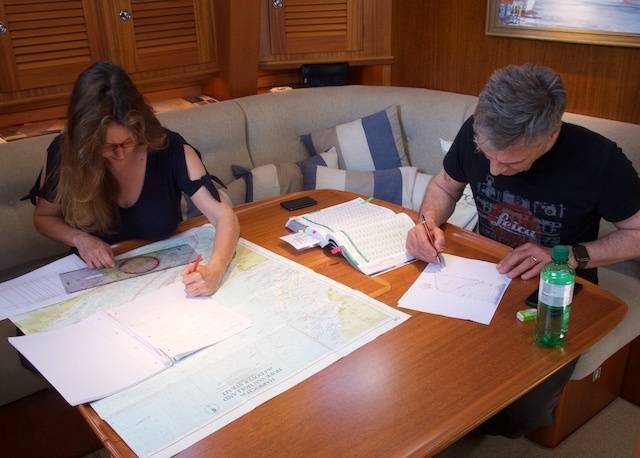 Preparing our passage plans for the big day. All tests are stressful and this maybe even more so, but Leon’s (very patient!) teaching and coaching gave us the self-confidence that we needed. Again, I was also impressed by his social skills that made us work together in a supporting and rewarding way. And we actually passed the test! 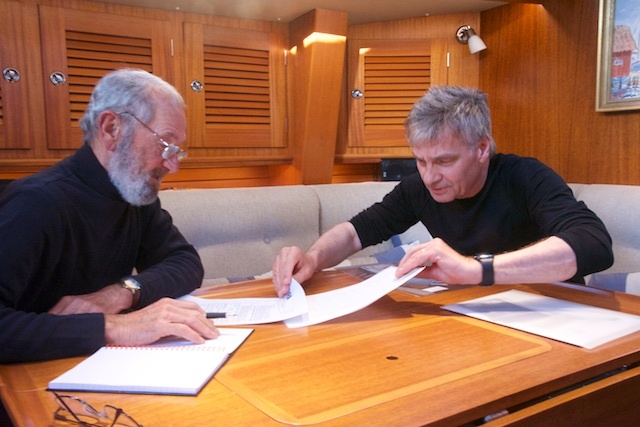 The examiner Allan checking my papers before the Yachtmaster exam could begin. 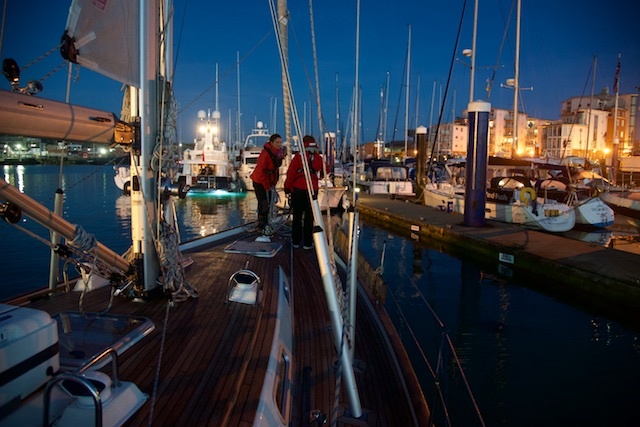 Casting off for my night sailing exercise with Allan observing how I judge the ferry coming in while backing out of our berth at Shepherd’s Wharf Marina in Cowes. Cowes by night. Polite, yet clear, communicating with the crew on foredeck is crucial. Just passed spring tides in The Solent. 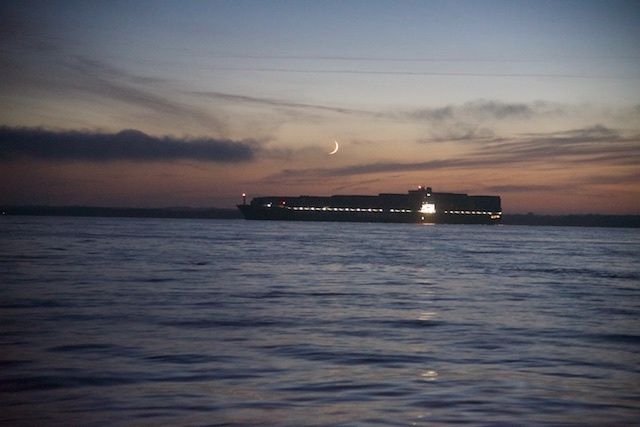 A freighter coming from Southampton turning in the exclusion zone. 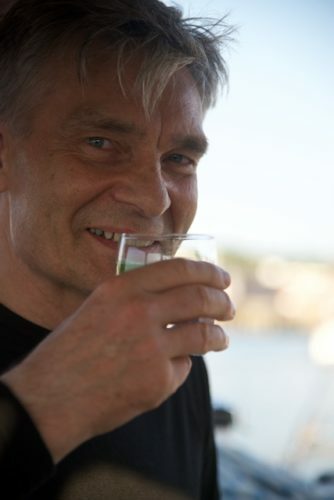 Leon is one of the few people being ideologically committed to cruising as an idea and a way of life. Transferring skills and knowledge is one aspect of this project he is very good at. In addition, and just as important, is his extremely solution oriented and inspiring personality. We did it! Celebrating passing the Yachtmaster exam! 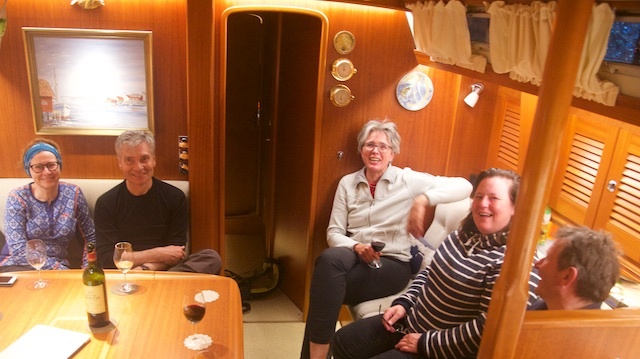 Kurt, Anita and Marianne on I Dolce coming over to congratulate us! My best endorsement is probably that both my wife and myself are looking forward to the next cruise with Leon, wherever that may take us. 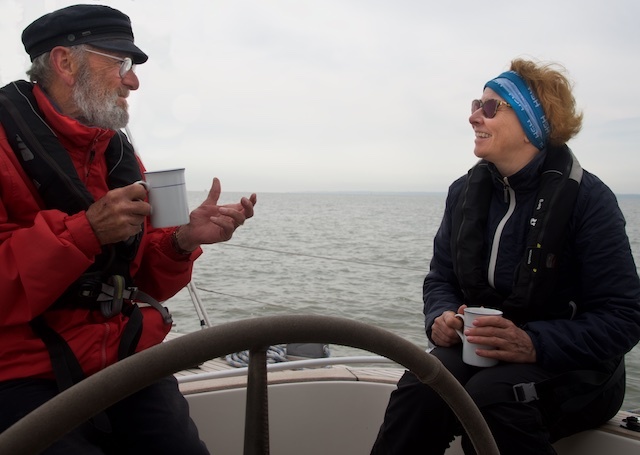 And if you want to upgrade your sailing skills within the RYA framework (which I think is the best), then look no further. 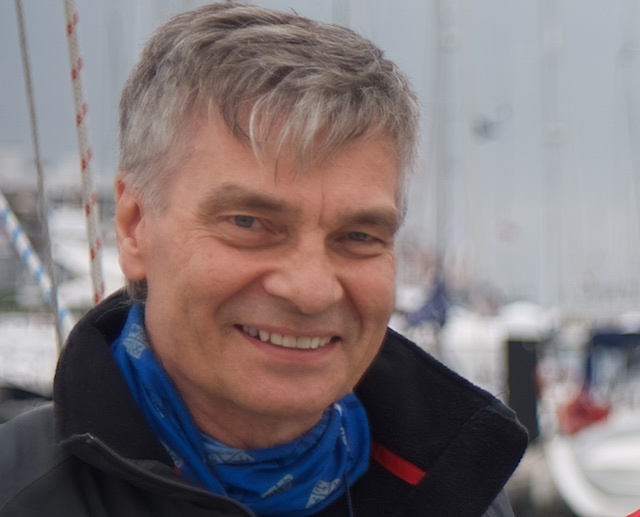 William Brochs-Haukedal, Norway, HR37 owner, sailed on the Yachtmaster Prep Leg 4-2017 in The Solent, UK.